Security tensabarriers control crowds and secure your facility. 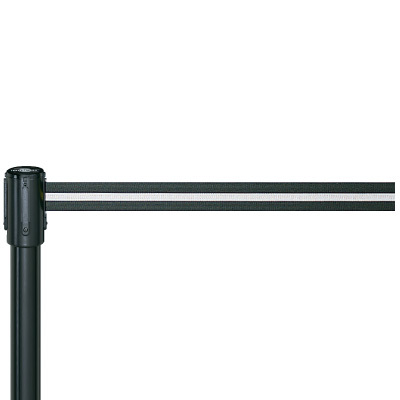 40" anodized aluminum posts provide an upscale look for any indoor area. 2"w nylon tape adjusts to any length up to 7-1/2 ft.
Self-reeling head keeps tape taut when extended and retracts after use for easy storage. 4-way locking head allows up to three tapes to be connected to each post.